Happy first day of Spring to those of you in this hemisphere! I had no inspiration for photos today so I used this one taken two years ago and re-edited it. 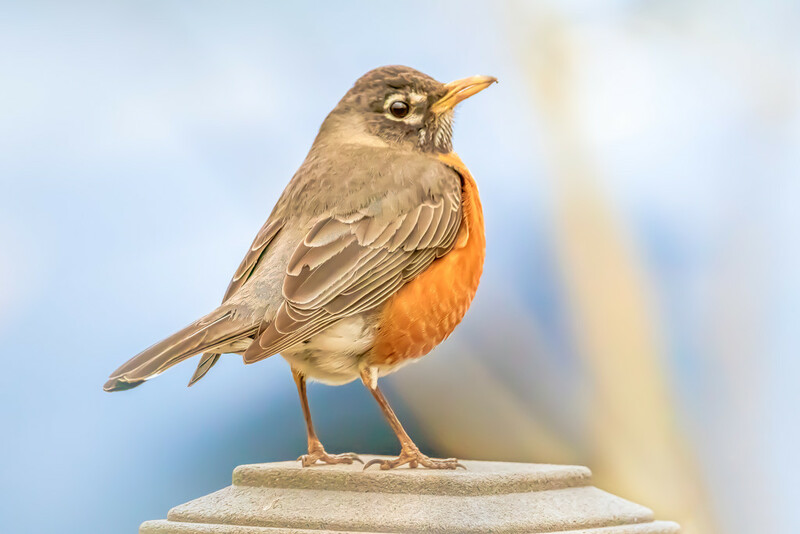 It's not the sharpest or best image, but the robin is a sign of spring. I was happy though to find that my editing skills have improved somewhat since then. Amazing how you get the birds to sit and pose 😃😃. Great shot 👍. Like a bird statue! Your pedestal is already there! :-) Anyway nice shot! I like freshening up older shots, it was edited today so it counts :) nice editing. ah but such a proud and lovely robin! It's sharp enough for me... there's a. little softness in the head plumage, but it doesn't detract from the image for me.